From The Uninvited and The Haunting to The Amityville Horror, Poltergeist and Paranormal Activity, malevolent spirits have terrorized film protagonists and frightened audiences for decades. 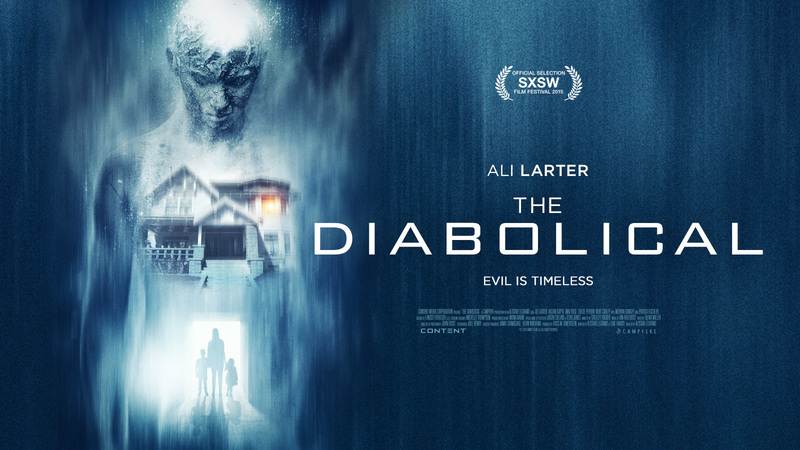 In The Diabolical, the haunted house tale is given a sci-fi twist that sets it apart from its predecessors. It’s a terrifying story of a family besieged by ghastly, ghostly creatures. Ali Larter (Final Destination 1 & 2, Heroes) plays a single mom who is going through some tough times. She’s trying to make ends meet, raising two young kids, including a son who is having behavioral issues at school, and she’s stuck living in a house that’s inhabited by horrifying-looking entities that randomly appear and seem hellbent on inflicting harm on her and her family. After going through psychics and paranormal investigators unable to provide any help as they end up scared out of the house themselves, she ultimately enlists the aid of her love interest, who also happens to be the one teacher who is able to get through to her son. Together, as the attacks become more and more menacing, they discover these apparitions may have a diabolical reason for their existence. Director Alistair Legrand, in his first feature film, has given the ghost story an original slant in more ways than one with his script co-written with Luke Harvis. First off, rather than showing a family move into an apparently benign home only to see spirits make their presence known little by little, Legrand instead has the hauntings already happening when we first meet Larter’s character right at the outset of the film. This is something her family has been dealing with for some time, and it’s already beginning to take it’s toll on them. Secondly, when it comes to these haunted house stories, the audience oftentimes asks, ‘why don’t the people just leave?’ Here, Legrand offers a clever reason why this isn’t an option for the tormented family. Thirdly, adding a sci-fi spin to the proceedings, which is better not to give away, provides an extra dimension to the usual narrative of angry or restless spirits. Ali Larter is terrific as the mom, utterly convincing as someone at wit’s end desperately attempting to keep her family together. The kids, Max Rose as her troubled son, Jacob, and Chloe Perrin as younger daughter, Haley, are amazing finds, and, as they make up close to half of the main cast, their performances are vital to the film’s success. Also effective are Arjun Gupta as the sympathetic teacher and Patrick Fischler as a creepy, annoying company rep. With such a small cast, the workload falls primarily on Larter and the kids, and they deliver admirably, conveying a believable family unit facing terror at any moment. Also of note are the film’s completely horrific looking creatures. They appear with shocking suddenness and are incredibly disturbing thanks to Spontaneous F/X, who, like director Legrand, have a resume of music videos and commercials behind them. 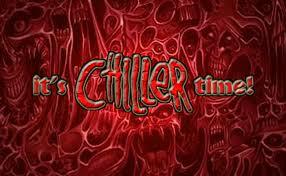 It’s surprising to learn that such an accomplished looking horror film wasn’t made by genre veterans. And the music by Ian Hultquist is big, yet moody, and works perfectly in conjunction with the strange goings-on in the film. 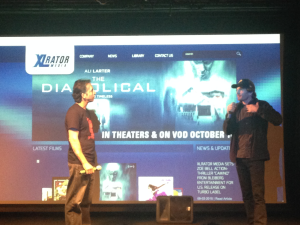 At a recent NY premiere screening hosted by Tony Timpone and Fangoria magazine, Legrand explained that he had always wanted to do a sci-fi horror film. He was inspired by pictures as diverse as The Entity, starring Barbara Hershey, and Contact, starring Jodie Foster. It’s an interesting combination of influences, and it certainly makes for a compelling and terrifying film in The Diabolical. Legrand hopes to do a sequel or two to this film, and is already at work on other future projects. He is a talent to keep an eye on, and the Gore 4 looks forward to whatever he next brings to the screen. 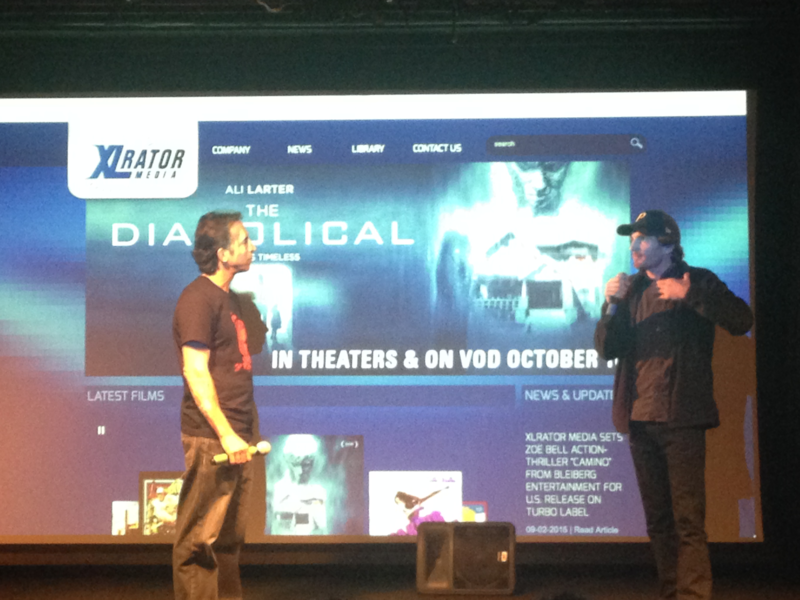 The Diabolical comes from XLrator Media, and is hitting theaters, VOD and iTunes all at once today. It’s the latest in a strong last couple of months for horror releases, and is definitely one you should see in whatever format suits you.